A cheerful, sunshine-filled spot dedicated to Colombian corn cakes; a futuristic pastry bunker serving croissants with a cult following, and an imaginative Japanese eatery with a super low-budget fit-out. These are the best new daytime diners of the year. 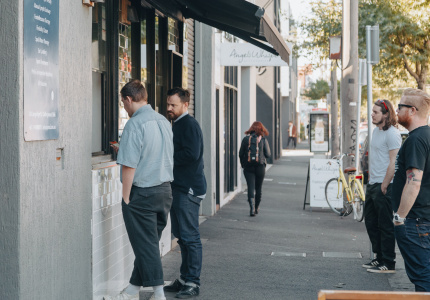 When it comes to cafes, 2018 was the year of the sibling and the reinvention – just one eatery on this list is by owners new to scene. The others, whether highly anticipated or delightfully unexpected, all have some serious hospitality cred behind them, and owners who’ve done it all before. It’s also a pretty tight list this time around. 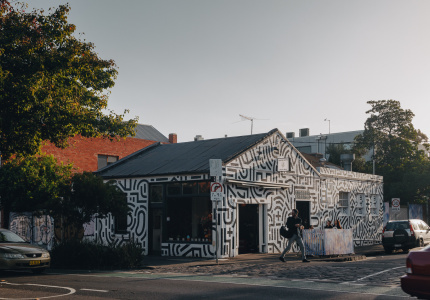 Few cafes gave us something new, but the ones that did make the cut are marvellous – they're the spots we’d recommend hitting up if you had just one day in Melbourne. Each one bowled us over, either through innovative ways of working, unexpected ingredients, spectacular interiors, or – this one’s for all those siblings – kicking things up another notch across the board. 2019, we’re expecting big things. All the best croissant-centric stories start in a futuristic pastry bunker. And when the Insta post we'd all been waiting for landed in September this year, we weren’t disappointed. Lune CBD is the much-anticipated sibling to chef-owner Kate Reid’s outrageously popular Fitzroy croissanterie. Reid captured global attention in 2016 when Oliver Strand of the New York Times frothed over her “ethereal, exceptionally flaky pastries”, which he said have a “holy balance of buttery heft and feathery flake”, and are among the finest in the world. It’s standing room only in this tiny, low-ceilinged “unbakery”; a minimalist, concrete-and-LED-laden shop two steps below street level, part of the century-old T&G Building (soon to also house Nathan Toleman’s Liminal). The menu is minimal too, with just five options: a plain croissant, pain au chocolat, ham and gruyere, almond, and a lemon-curd cruffin. On a side street off Preston’s busy main strip there’s a sunshine-filled cafe so cheery in its yellow, white and aqua colour palette it’s almost therapeutic. 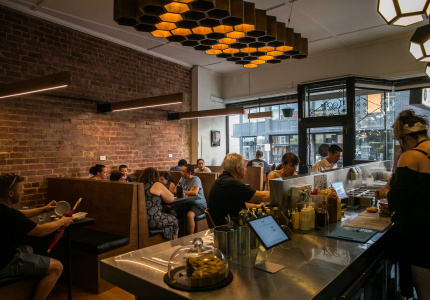 Arepa Days is the sister restaurant to Fitzroy’s Sonido. 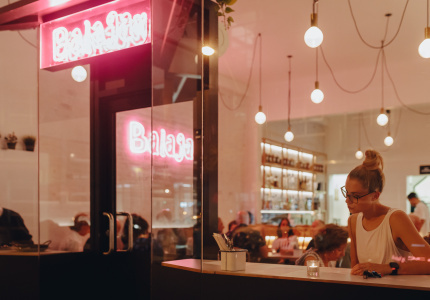 Inside the lively space you’ll find an open kitchen and South American vinyl on repeat, but the real draw here is the namesake arepas. The flat corn-based pancakes are made in an “Arepa Lab”, which is separated from the dining room by old Art Deco-style windows, allowing you to voyeuristically peer in. There are 10 topped arepas on offer, including one with vegemite, guacamole and tomato, and one with scrambled eggs. Or you can build your own, starting with black beans, chorizo, morcilla (black pudding) or pulled beef. You can also buy packaged plain or cheese arepas to cook at home – just throw them on a hot pan until golden. Big jugs of Colombian hot chocolate are spiced with cinnamon and cloves, and you can add cheese for a salty-sweet hit, as Colombians do. There’s also raw sugarcane juice and fresh juices made from tropical fruits such as guanabana (soursop) and passionfruit, as well as coffee by Brunswick’s Wood and Co.
A former Sake chef is manning the pans at this Japanese-Australian brunch spot. 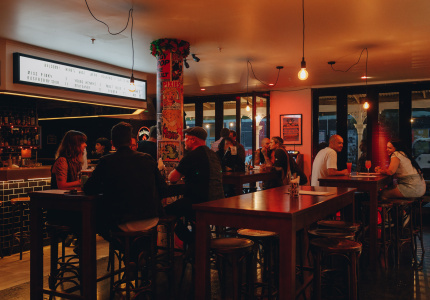 Chef-owner James Spinks has also spent time at Sydney's Quay and as commis chef at Supernormal before cooking at a restaurant in Tokyo for a year, honing his Japanese culinary skills. 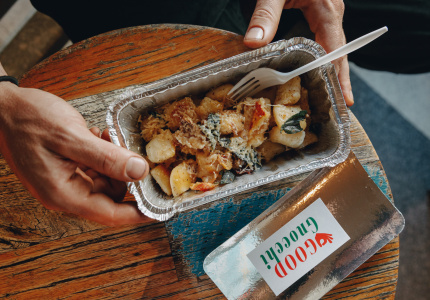 The menu is built on a low-waste ethos, using “ugly vegetables” and embracing nose-to-tail dining. Prawn heads leftover from a Panko-crumbed-prawn burger special are resurrected in a side dish – coated in potato flour, deep-fried, simply seasoned with salt and served with a house-made mayonnaise. Coffee grounds are turned into compost by local company Reground, and cooking oil is recycled by Green Life Oil. 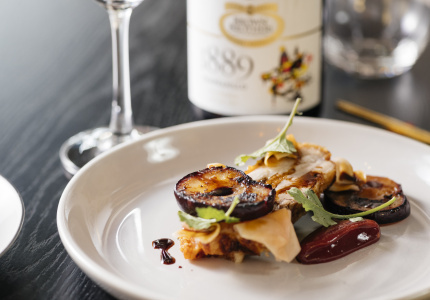 Imaginative dishes sit comfortably somewhere between Melbourne and Tokyo. Baked eggs arrive in a rich, red-miso tomato sugo; avocado toast comes with nori paste, kale and furikake; and a winter porridge dish is topped with poached pear, sesame and mitarashi (sweet soy syrup). Everything is served in beautiful ceramics by Melbourne-based makers Sarah Schembri and Andrei Davidoff, and delivered on trays made of offcuts from the timber service counter. The brief for the interior, which was designed by co-owner Asako Miura: super low budget. A large pine service counter stretches almost the full length of the petite corner spot. Benches, tables and stools are made from plywood, all working wonderfully with the light that streams in from Elgin Street outside. Just days after opening, Port of Call was already teeming with locals. 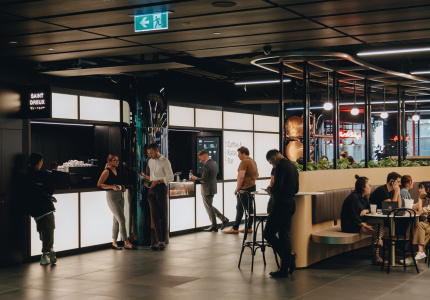 But that’s to be expected from a cafe by the team that in recent years has opened some of Melbourne’s most popular cafes: Touchwood, Tall Timber, Coin Laundry, and more recently Carnegie’s Left Field and Elwood’s Plain Sailing. 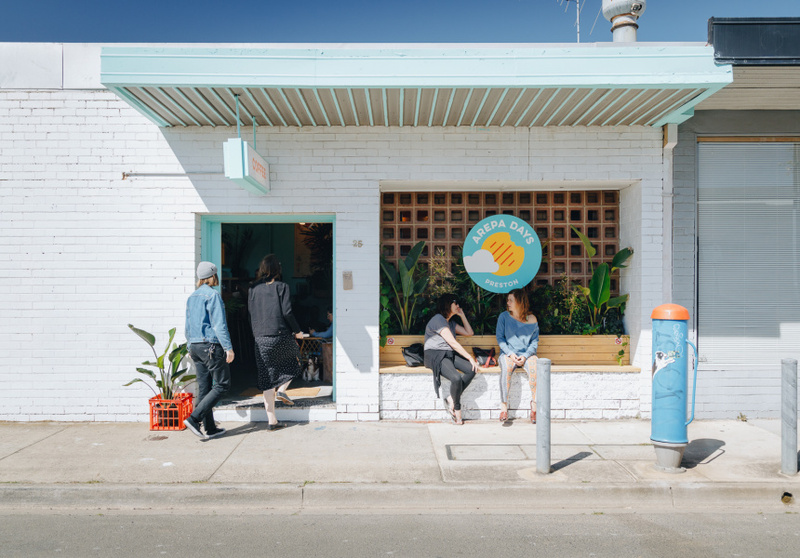 The new spot is a bright and airy cafe occupying what was formerly a real estate agency, a few minutes walk from Sandringham Beach. Spacious and warm, yet contemporary and fresh, the space is decked out with colourful floor tiles, green upholstery, terrazzo and blackbutt timber. Fans of Plain Sailing and Left Field will be happy here, food-wise. Spiced pumpkin waffles – topped with a dollop of citrus mascarpone and encircled by a ring of seeds, fresh berries and edible petals – and a dish of pea and zucchini fritters were early hits. “Cibi” is Japanese for “little one”. But this well-loved northside eatery is not so little anymore after moving just a few doors down Keele Street to a sprawling new warehouse space. The 60-year-old former clothing factory is four times the size of the original but still feels warm and familiar. 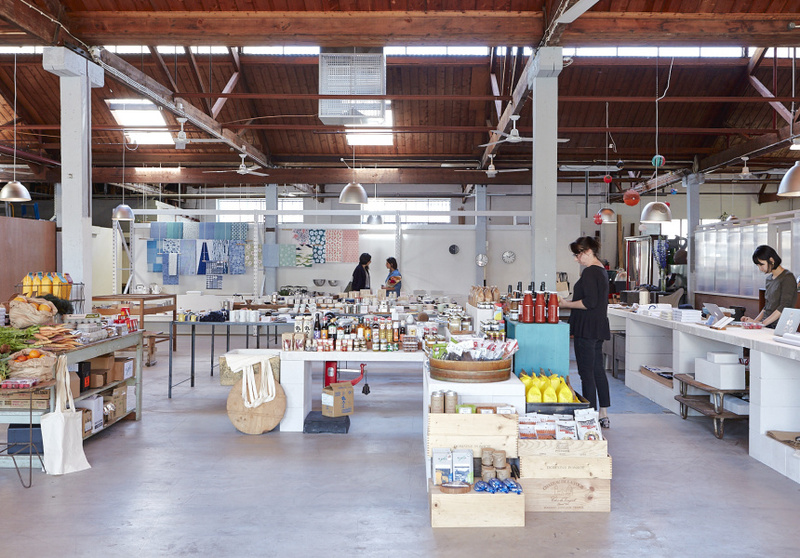 This is thanks to the spacious open kitchen (manned by co-owner Meg Tanaka), mismatched tables and chairs, and makeshift display tables (constructed from aerated concrete slabs) displaying hand-selected Japanese homewares. Light streams in from the street-facing windows and skylights overhead. The signature Japanese breakfast of grilled salmon, tamagoyaki (a layered and rolled omelette), greens, rice and miso soup is still on offer, but here are new options too, such as seared salmon with tofu-and-mushroom-stuffed lotus-root rounds, sweet sesame pumpkin, broad-bean salad, and rice and quinoa mixed with soybeans. Bayano the Rebel is the third daytime eatery for Marwin Shaw, who owns Monk Bodhi Dharma and Admiral Cheng Ho. Along with Zak Openstein, he opened this almost entirely vegan cafe early this year. A tasty vegan toastie comes with smoky barbeque cauliflower and vegan cream cheese; and there’s granola topped with berries, and loaded with nuts and seeds. Baked goods are from Monk Bodhi Dharma, and macadamia milk is made onsite daily. The pair proudly displays the names of farmers behind daily brews – from Panama, Guatemala, Ethiopia and elsewhere – on the counter. They’ve met many of these producers, and even brought some of them out to Shaw’s cafes in the past. 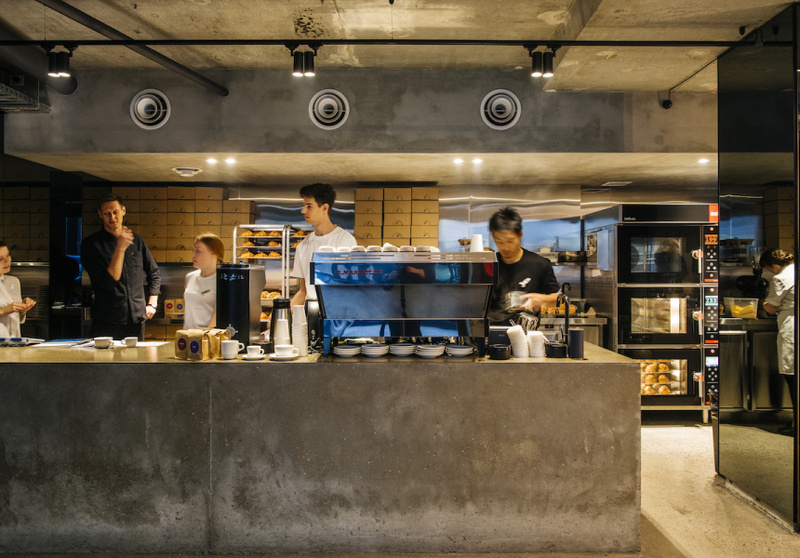 Shaw built the cafe’s stools and tables with timber and copper pipes; Openstein’s cousin crafted the ceramic cups; and a close friend built the sculptural geometric light fixture that snakes along the wall and halos above the Specht coffee machine. 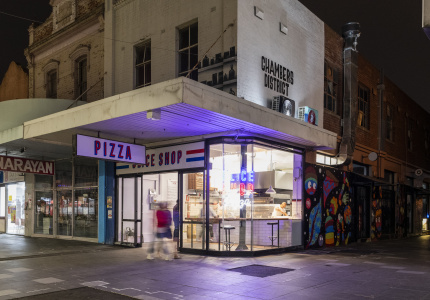 Cannoli Bar (a spot in the north-west dedicate to the ricotta-filled pastry), Don’t Lose Your Temper (a cafe-patisserie by two ex-Vue de Monde pastry chefs) and Good Times Milk Bar (a colourful, Californian-cool cafe) were three of our most-read restaurant-opening stories of the year. 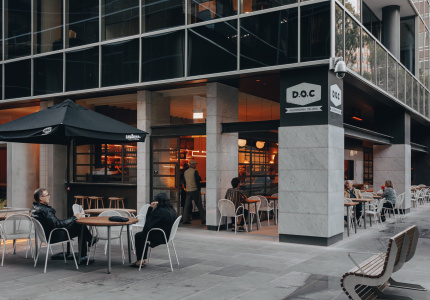 See Broadsheet Melbourne’s Best Restaurant Openings of 2018.